Bonding plays a critical role in your baby’s emotional development, which in turn is the basis for all future relationships. One cannot underestimate the importance of attachment and bonding. Bonding is more than a warm fuzzy feeling – it is a critical, deep emotional involvement with and trust in another person. It is a journey of getting to know, trust and rely on another person. 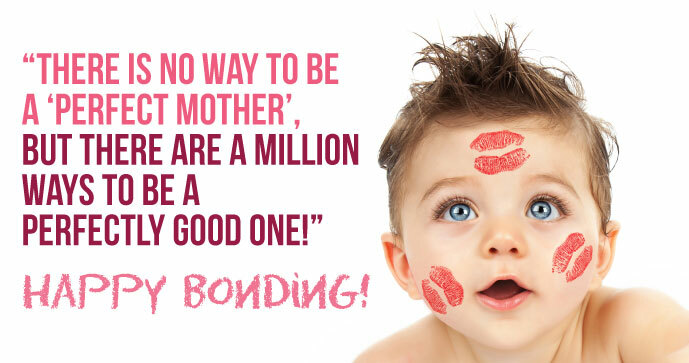 There is a misconception that bonding occurs like ‘love at first sight’. The reality is that it is a process that develops over time. Bonding may begin in pregnancy or even before conception; it may occur like a flash at birth or may in fact take months to develop. Some parents have waited a long time for their little one and being pregnant brings wonderful feelings of joy. For many pregnant mums, the hormones and expectancy lead her into a love relationship right from the start. In this case, you may begin dreaming of your baby and as you rub your tummy feel the swell of love for your baby. This process has been fast tracked by technology – we know we are pregnant way before women in the past years did. By 17 weeks most parents have seen their little one at least once. We share early photos of our baby in the womb and so begin to bond early. When your baby beings to move and wriggle you may feel love for this little person. In fact, many mums mourn the end of those fluttery feelings after her baby is born. For others however, pregnancy may be difficult, unwanted or scary. Antenatal depression is being recognized more and more and we now know that it is not uncommon for a woman to feel very ambivalent towards her baby. Likewise, Dads may experience depression and anxiety in pregnancy and this will impact on their bond with their baby at that time. The good news is that this is not reason to predict a poor or inadequate bond at a later stage. Most parents will go on to bond well with their little one later. The moment we meet our babies we expect to feel overwhelming love. For some parents, this is the experience, as they look at this tiny, beautiful, helpless being they are flooded with feelings of love. Natural delivery of your baby will facilitate this emotional response as all the hormones released by birth create a flood of endorphins that give you a high. If the delivery is difficult or very long or either mum or babe are in danger, the feelings may be very different. Exhaustion and despair if things don’t turn out well can negatively impact on those love juices. Your feeling may be of gloom and being overwhelmed and this will mean you don’t feel like you are bonding. On the other hand some mums have a wonderful birth experience and meet their perfect baby and yet feel no love or great fascination with their baby. Once again the good news is that this immediate emotional response does not predict your relationship with your baby and love and bonding may come later for you. For other parents, love is a long slow journey. There are no A-Ha moments, just a gradual development of a love relationship. If this love develops within the context of a caring, consistent relationship, it is no problem at all for your baby. It is vital that mums know that not everyone is overwhelmed with love at the sight of their baby. If however, you never feel love towards your baby and your mothering role is a process of acting out the motions and you are overcome with depression or anxiety, you do need to get help for Post Natal Depression as this condition may impact on your baby emotionally. Play with your little one when he is well rested and not hungry, preferably in the calm-alert state. This is the state that is best for learning and making brain connections. You will know your baby is receptive to activities, when he is calm, making eye contact – reaching for toys and showing interest in the world. The opportunity can present it self in normal daily activities such as nappy change time, bath time or mealtime. In addition, it is worth setting aside 15 minutes a day to get onto the floor and focus 100% on your child. To focus happily on play, you will want a space that is firstly safe – without hazards such as plug holes, loose book shelves and open water. Try to de-clutter the space and not have too many toys on offer. Put your mobile device away and get onto the floor with your child and offer 3-5 carefully chosen activities or toys. In this way the play environment is conducive to fun and learning. An activity is simply an interaction with your little one that enhances development and is fun. Games such as peek-a-boo or reading a book together, learning a new nursery rhyme or finger painting are all examples of activities that spark interest as well as teach vital skills. A toy may spark imagination – such as a doll, a toy phone or a pretend kitchen. These toys are brilliant for encouraging language, creativity and collaboration with you. You and your little one can take on roles and pretend play together. A toy may enhance skills – such as a ball, shape sorter or a puzzle. These toys demand a certain level of interaction from your little one. Watch for interest in a certain area and offer a toy that will provide just the right challenge to your child. 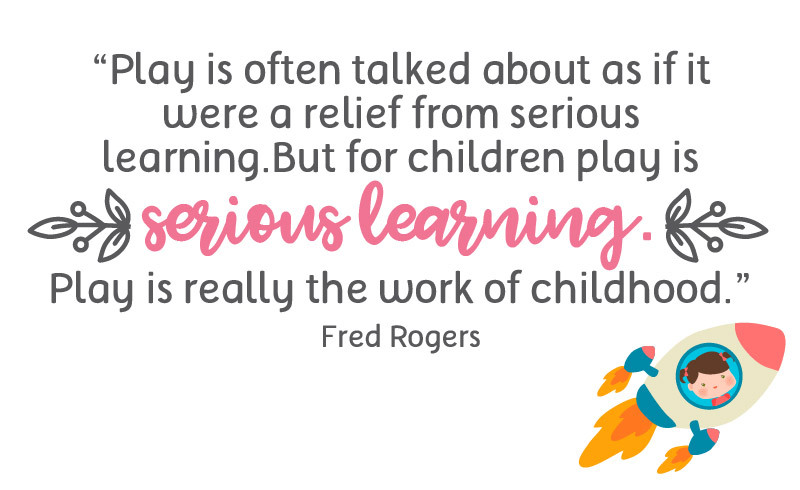 Enjoy playing with your little one and know that through appropriate timing, a stimulating environment and the right activities and toys, you can spark your child’s brilliance.